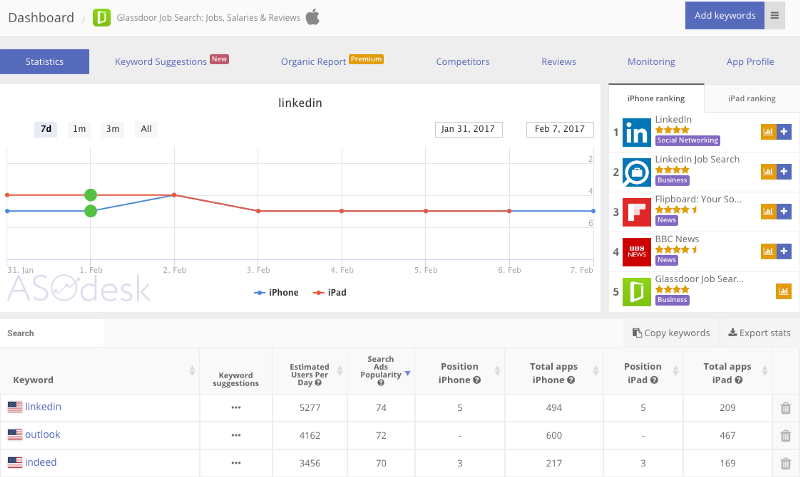 Apple provides Search Ads data that includes the keywords that people searched on before clicking on their ads, which helps app publishers understand their potential users better. This is data that iOS app marketers have never received before, and it’s incredibly helpful in determining what potential users you are attracting. USA only for now.